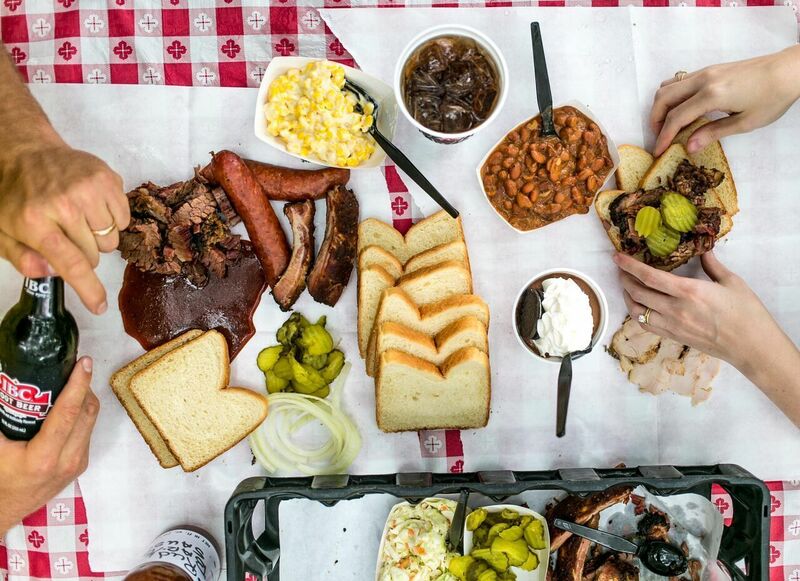 Rudy’s "Country Store" and Bar-B-Q has been selling delicious oak wood-smoked meats served up on butcher paper in a friendly rustic atmosphere for over twenty years. Their pits are 100% wood fired with oak, a slower burning wood than the mesquite used by others. Along with time and oak, they cook with a dry spice that ensures each plate of Rudy's Bar-B-Q is perfectly ready for you. Apply some of their famous "Sause" and dinner is served.